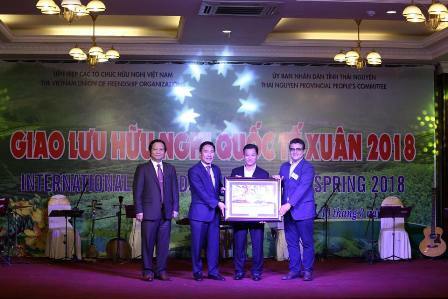 Ambassador Saadi Salama and staff of the Embassy of the State of Palestine in Hanoi attended the Friendship Spring Journey held by the Vietnam Union of Friendship Organisations (VUFO) in the northern province of Thai Nguyen on March 10, 2018. 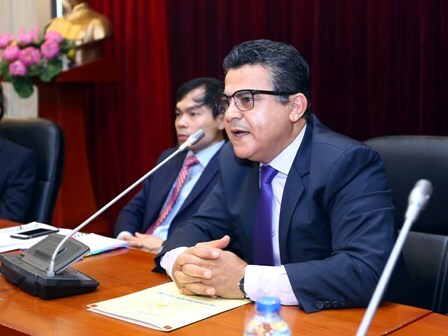 The event, which aimed to foster friendship between the delegates and Vietnamese people, especially locals in Thai Nguyen, gathered nearly 300 delegates who are ambassadors and officials of embassies of various countries in Vietnam, and representatives of friendship associations, international and non-governmental organisations in Vietnam. 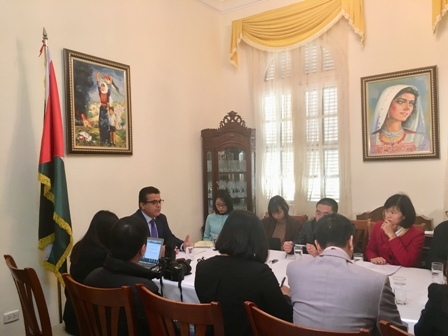 Hanoi – This morning (19th December 2017), the Embassy of the State of Palestine in Vietnam hold a media briefing with Vietnamese journalists to inform them of the issues related to U.S. President's decision to recognize Jerusalem as the Israeli capital, and to clearly state the views of the State of Palestine on this development. A large number of journalists from national and local newspapers attended the meeting. 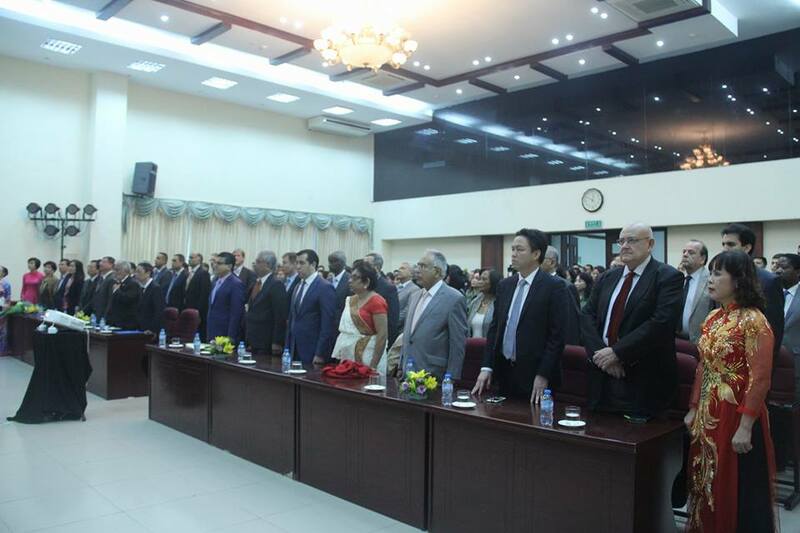 Hanoi - This morning (7 December 2017), in commemoration of the International Day for Solidarity with the Palestinian people (29th November), the Embassy of the State of Palestine in Vietnam, the Vietnam Committe for Solidarity with the Palestinian people, Hanoi Union of Friendship Organizations, and the Vietnam – Palestine Friendship Association of Hanoi co-organized a meeting, cultural exchange and film screening at the Vietnam Union of Friendship Organization, 105A Quan Thanh, Hanoi. Hanoi - On Tuesday 7th November 2017, the Embassy of the State of Palestine in Hanoi and the Institute for Africa and Middle East Studies (IAMES) of the Vietnam Academy of Social Sciences co-organized a round-table discussion entitled “100 Years of Balfour Declaration” to introduce to researchers and those who are interested in the Middle East about the Balfour Declaration and its consequences for the region, particularly for the Palestinian people. Ambassador Saadi Salama joins and delivers a speech at the “Spring Friendship Journey 2017"